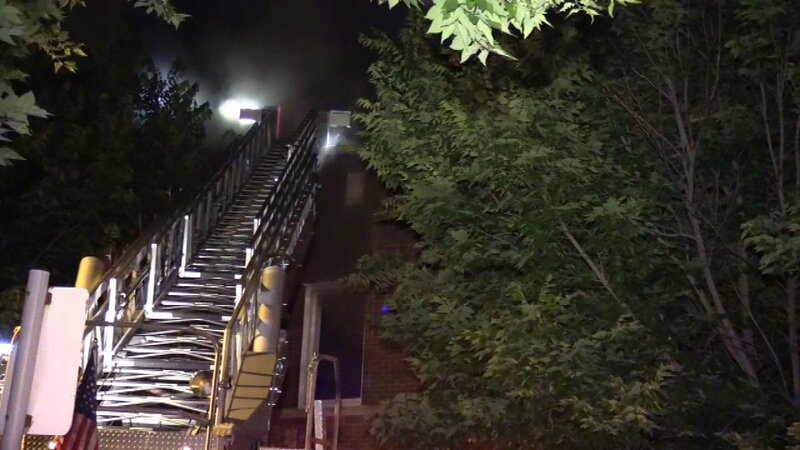 CHICAGO (WLS) -- Two people, including a police officer, were injured in an apartment fire on Chicago's South Side, the fire department said. Firefighters responded to a two-story building in the 7900-block of South Justine Street in the city's Auburn Gresham neighborhood around 2:10 a.m. Friday. The fire was extinguished in less than an hour. A police officer was treated for smoke inhalation at Advocate Christ Medical Center, CFD said. The officer is expected to be OK. Another person was transported to Holy Cross Hospital in fair-to-serious condition. Twelve children and 11 adults were displaced because of the fire, officials said.